You told us how we could improve atEvent Central and we got right to work to revamp our web platform to provide you a more streamlined and powerful experience. A streamlined event setup process to ensure you can successfully create events without missing any information. A redesigned dashboard that shows the status of in-progress and planned events, so you can easily identify and address setup issues. Interactive charts and metrics that capture event performance, lead and account insights, and event-by-event ROI comparisons, all to give you the intelligence you need to accelerate sales velocity and improve event and trade show ROI. Consent capture and lead record deletion capabilities to make sure you can comply with GDPR regulations. 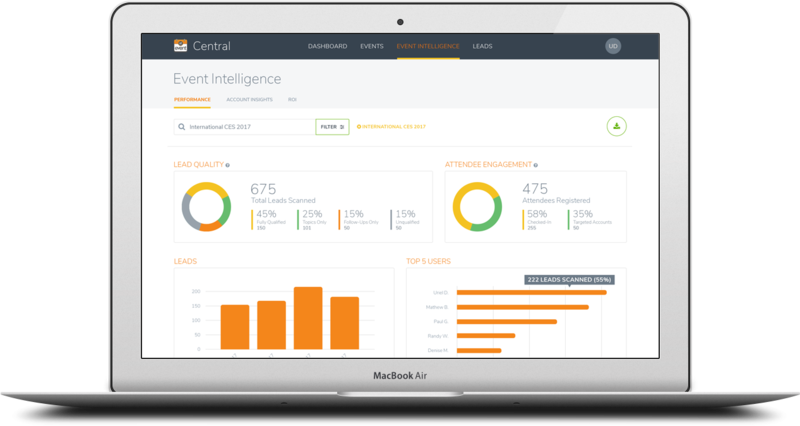 For a more detailed overview of the all-new atEvent Central, visit our help center. New to atEvent or would like to take a closer look, please schedule a brief demo. In early 2019, atEvent’s mobile app will also receive a major refresh that will provide a faster, more intuitive user experience, so you can seamlessly, and efficiently capture leads on the event floor and everywhere else they make sales contacts. Take a sneak-peek at the new atEvent iOS app.